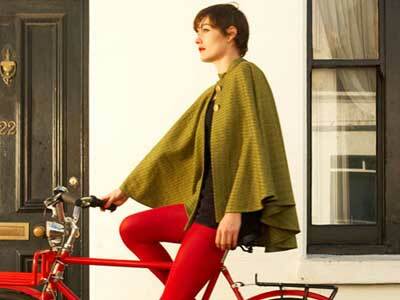 Not only stylish, but that cape is woven with high visibility Lumatwill. Commute in style and make sure you’re seen. Pair that cap with the Beret Helmet and a baguette in a basket. How could BSNYC refuse to wave hello when your rode by looking that good?